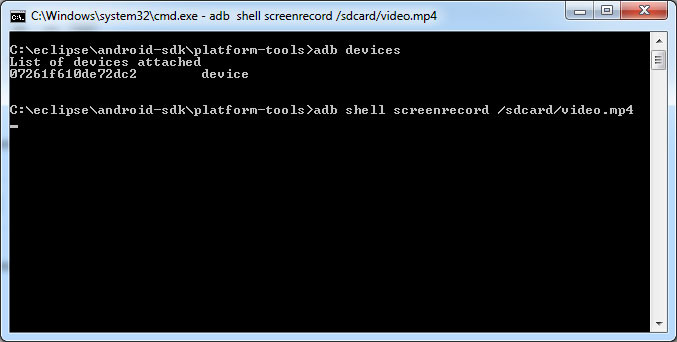 To start screen recording you’ll need the Android SDK command line ADB utility allows you to initiate screen recording over a USB connection. You’ll also need USB debugging enabled on your device and USB debug cable connected to your device. Goto sdkplatform-tools folder. 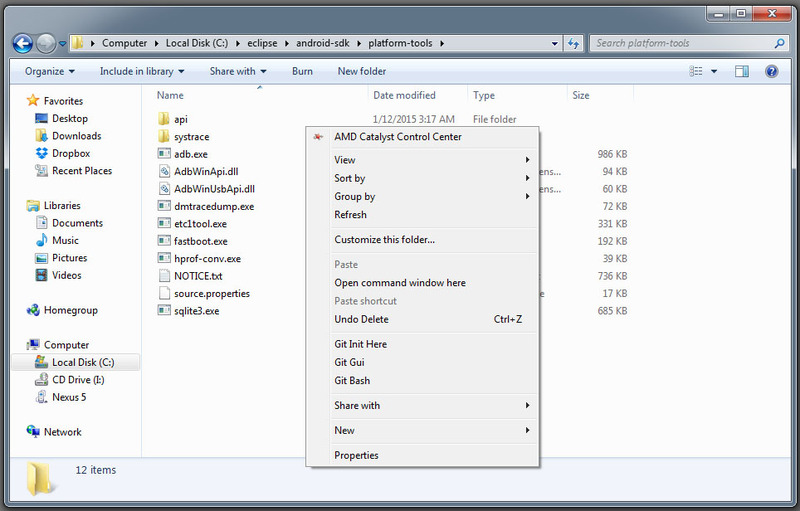 Hold Shift, right-click inside the folder, and select Open command window here. When you’re done recording, press Ctrl+C in the Command Prompt window. You can find the screen recording file video.mp4 saved in your device internal storage.